Magby is a Fire type Pokémon introduced in Generation 2. It is known as the Live Coal Pokémon . The effectiveness of each type on Magby. 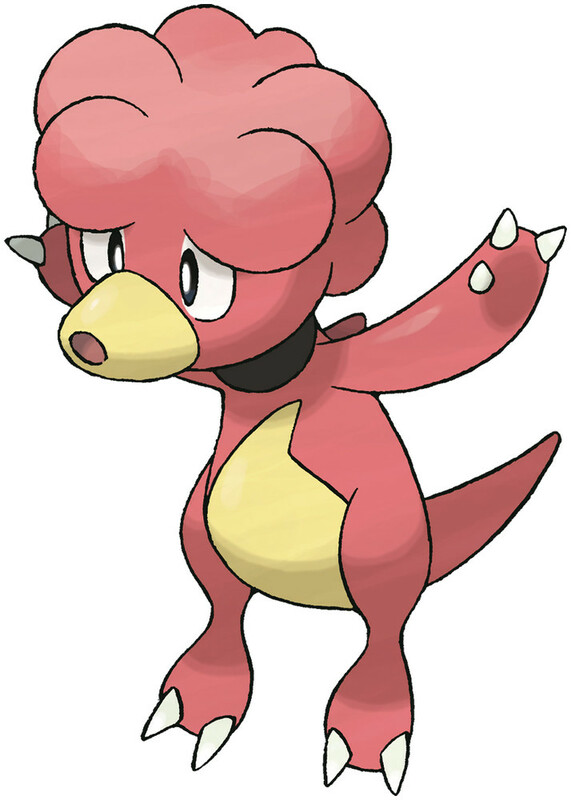 In Generations 2-4, Magby has a base experience yield of 117. It is found in volcanic craters. Its body temp. is over 1100 degrees, so don't underestimate it. MAGBY’s state of health is determined by observing the fire it breathes. If the POKéMON is spouting yellow flames from its mouth, it is in good health. When it is fatigued, black smoke will be mixed in with the flames. It is found in volcanic craters. Its body heat exceeds 1,100 degrees Fahrenheit, so don’t underestimate it. Its magma-like blood circulates throughout its body. Its body’s heat can top 1,100 degrees F.
Each and every time it inhales and exhales, hot embers dribble from its mouth and nostrils. It’s small, but its body temperature is over 1,100 degrees F. Embers escape its mouth and nose when it breathes. It’s small, but its body temperature is over 1,100 degrees Fahrenheit. Embers escape its mouth and nose when it breathes. Its magma-like blood circulates throughout its body. Its body’s heat can top 1,100 degrees Fahrenheit. Magby learns the following moves in Pokémon Ultra Sun & Ultra Moon at the levels specified. Magby learns the following moves via breeding in Pokémon Ultra Sun & Ultra Moon. Details and compatible parents can be found on the Magby egg moves page. Magby can only learn these moves in previous generations. It must be taught the moves in the appropriate game and then transferred to Pokémon Ultra Sun & Ultra Moon. Magby learns the following moves in Pokémon Sun & Moon at the levels specified. Magby learns the following moves via breeding in Pokémon Sun & Moon. Details and compatible parents can be found on the Magby egg moves page. Magby can only learn these moves in previous generations. It must be taught the moves in the appropriate game and then transferred to Pokémon Sun & Moon. What is a good LC moveset for Magby? Do you need an incense to get a Magby and Elekid? Can you get magby/elekid in black/white?